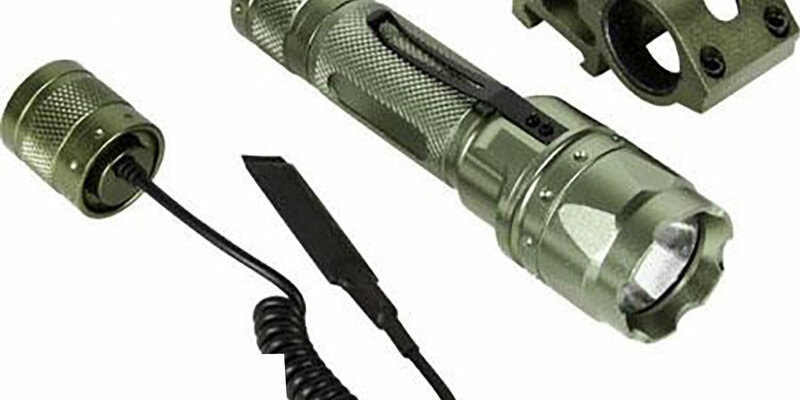 The AIM Sports 180 Lumens Flashlight with Offset Mount (Metallic Green) is a rugged and resilient LED light with a one-piece aircraft grade aluminum body for durability. 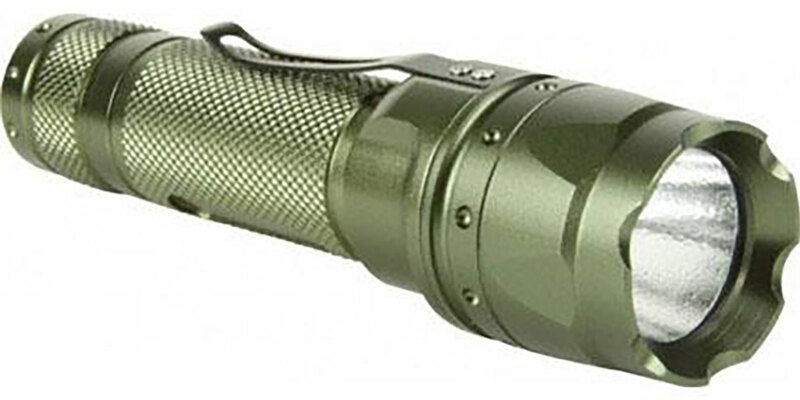 The AIM Sports 180 Lumen Flashlight includes an offset mount and pressure switch allowing you to utilize it as a powerful weapon light and the CREE LED bulb can take the pounding of recoil. You can also use the AIM Sports 180 Flashlight as a hand-held light or everyday carry light - the integrated belt clip makes this high-output flashlight easy to keep on hand.